Our office, with co-counsel Robert D. Allison & Associates of Chicago, represents a class of employees against Baxter International, Inc., and several individual defendants. The lawsuit alleges that the defendants violated the Employee Retirement Income Security Act of 1974 ("ERISA") with regard to Baxter's employee benefit plans, defined contribution plans, or individual account plans. 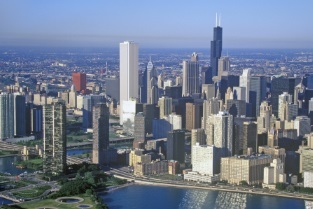 The case is pending in U.S. District Court for the Northern District of Illinois in Chicago. Mr. Rogers represents all current and former participants in Baxter International Inc. and Subsidiaries Incentive Investment Plan, and the Baxter Healthcare Corporation of Puerto Rico Savings and Investment Plan. Also included in the class are participants in predecessors of these plans and all defined contribution plans of Baxter International, Inc. that have been merged into the Plans, including (but not limited to) the Althin Medical, Inc. 401(k) Plan, the Fusion Medical Technologies, Inc. 401(k) Plan, the Epic Therapeutics, Inc. 401(k) Plan, and the American Home Projects Corporation Savings Plan (Wyeth 401(k) Plan). Mr. Rogers alleges that, among other breaches of fiduciary duty, the defendants selected and promoted the Baxter Common Stock Fund as an appropriate choice for Baxter employees participating in the Plans to invest their retirement savings in at a time when the defendants knew or should have known that, due to undisclosed problems, Baxter's reported financial results were overstated. Defendants' wrongful conduct is alleged to have occurred from January 1, 2001 through mid-2004. On February 2, 2005, U.S. District Court Judge Joan Gottschall denied Baxter's motion to dismiss, preserving claims against all defendants, and allowing plaintiff to replead his fraud claims. On March 22, 2006, the court granted plaintiff's motion for class certification in substantial part, approving a damage class of "[a]ll current and former Participants in the Baxter International Inc. and Subsidiaries Incentive Investment Plan ("the Plan"), for whose individual accounts the Plan held shares of the Baxter Common Stock Fund at any time from January 1, 2001 to the present. Excluded from the Class are defendants, officers and directors of Baxter, members of defendants' immediate families, and the heirs, successors or assigns of any of the foregoing." Our offices are currently engaged in intensively investigating the class claims. We have deposed the former CEO, the (then-)current and former CFOs, the former head of Investor Relations, the former heads of the business units, and several other members of Baxter management about their involvement in decisions that plaintiff alleges resulted in millions of dollars in losses to the 401(k) plan. We are continuing to review thousands of pages of documents and schedule additional depositions as the discovery process progresses. We have also fought back an attempt by Baxter to seek individual discovery against the class members. Magistrate Judge Nolan denied Baxter's motion to take classwide discovery that would have required all 14,511 members of the class to submit answers to detailed written questions. Judge Nolan stated that "the Court is unwilling to find that discovery of absent class members ... serves a legitimate purpose and is appropriate at this time." Baxter recently appealed a portion of the case to the United States Court of Appeals for the Seventh Circuit. The Seventh Circuit issued its decision on April 2, 2008 The Court ruled in our favor, holding that the plaintiff properly brought this case under Section 502(a)(2) of ERISA, which allows plaintiffs to sue on behalf of those participants of the 401(k) plan who suffered a loss. The Seventh Circuit also rejected Baxter's contention that this type of ERISA case should be rejected because other remedies might be available to shareholders under the securities laws. The Seventh Circuit emphasized that "this is not a securities suit" and that "[p]ension fiduciaries are liable, or not, depending on what they know and what duties they have under trust law ...." Opinion, p. 4. Update March 24, 2010: the District Court ruled against the plaintiff and class and in favor of Baxter and the other defendants in this case on May 3, 2010. On March 21, 2010, the plaintiff filed a motion to appeal this case to the Seventh Circuit Court of Appeals. In the coming weeks, the Seventh Circuit will be setting dates for briefs and oral argument on the appeal. We will update this site when that information is available.